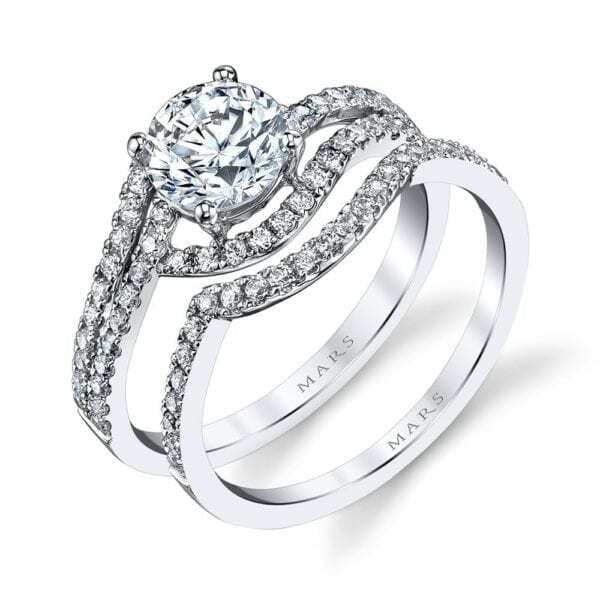 A Modern Engagement Ring with Assymetric “Tri-pass” Split Shank. 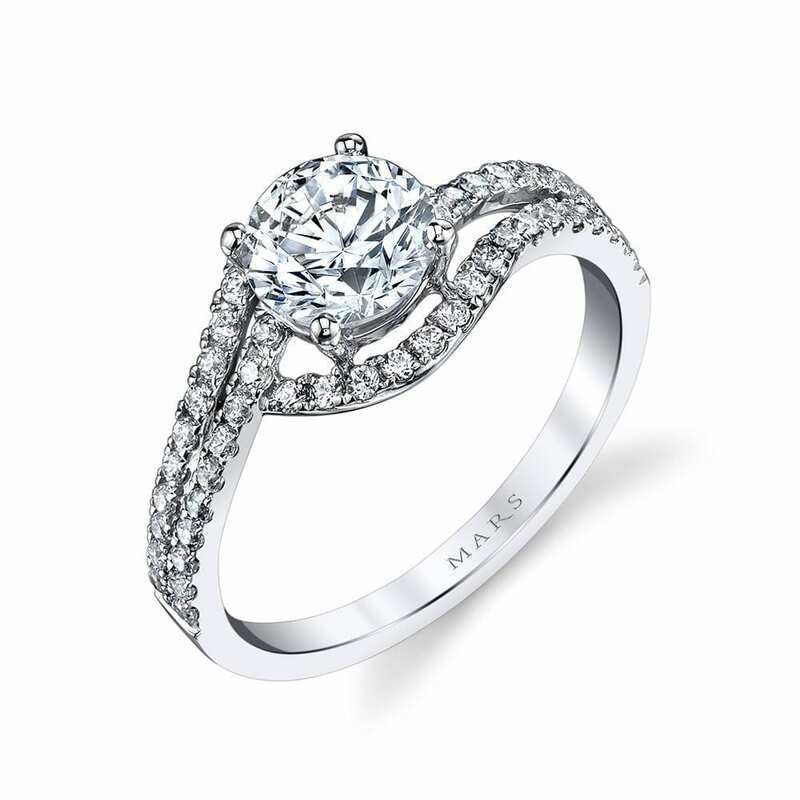 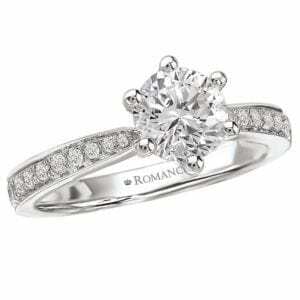 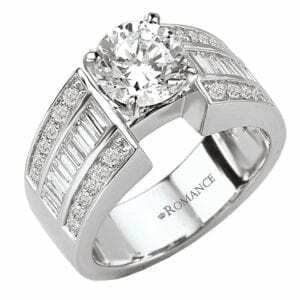 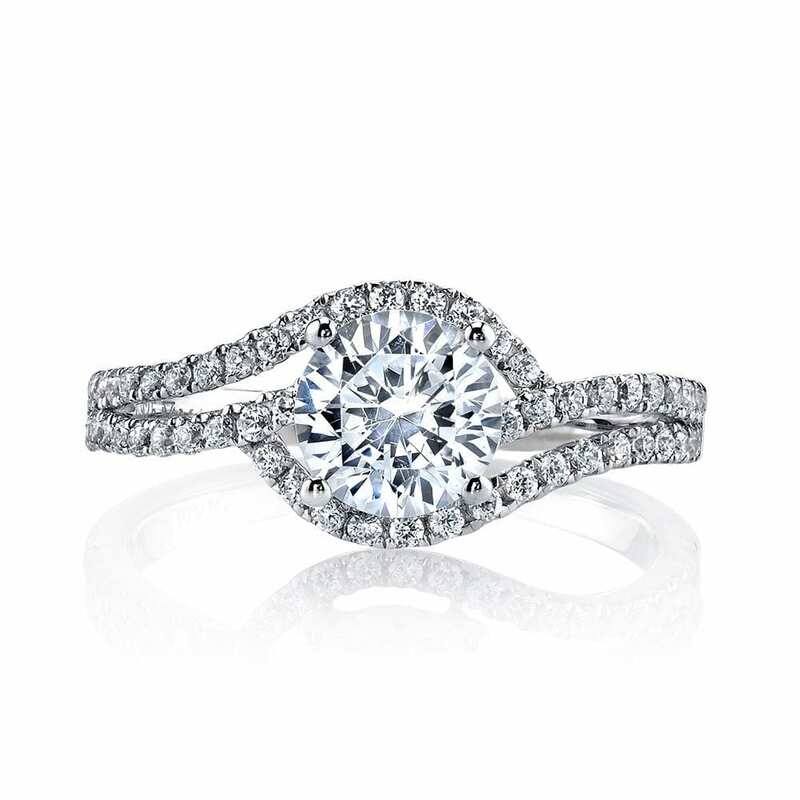 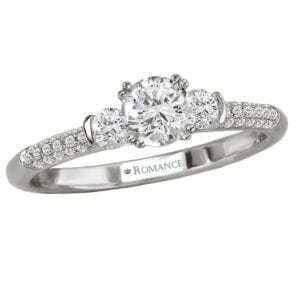 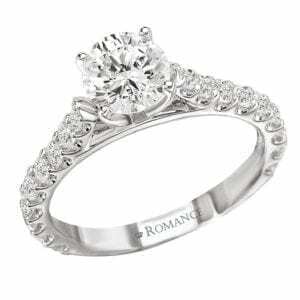 Shown in White Gold with 1.00 Carat Round Cut; Center Excluded from Price. 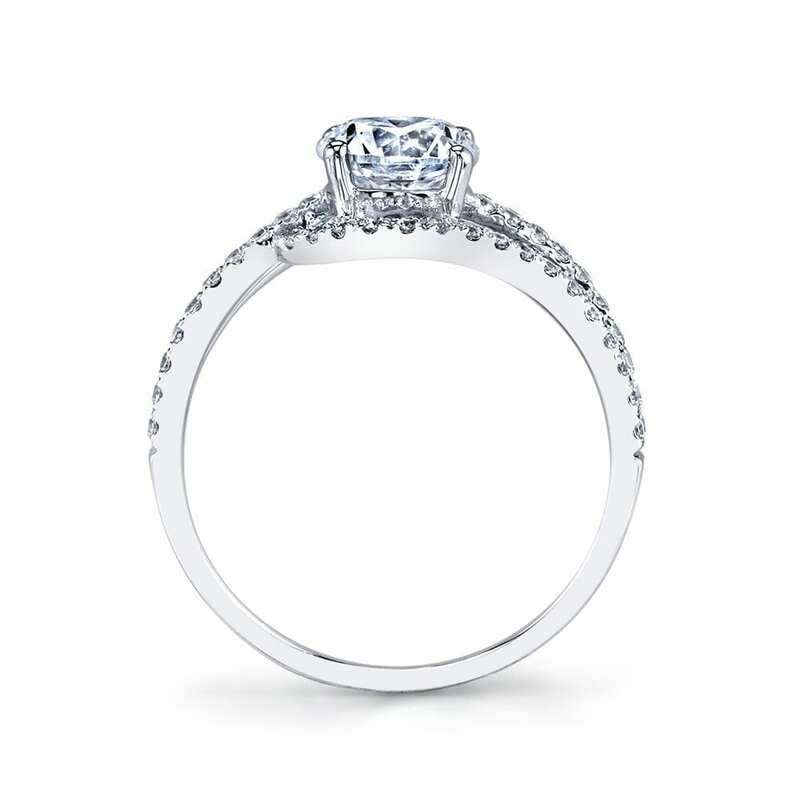 Side Stones: 0.36 Carat Total Weight.